When we took a closer look at cyclocross traditions, between the Elite racers we interviewed it was unanimous that warming up before your race is a wise idea—but for how long? And do you ride on the course, or set up your trainer and warm up there? 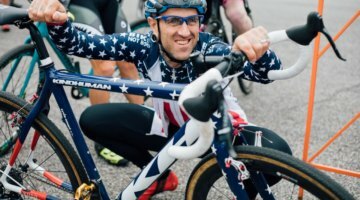 In this week’s Technique Tuesday, Adam Myerson goes in-depth on what the best way to warm up for a cyclocross race is. He outlines a detailed approach that gives the racer ample time to inspect the course at different speeds, think about equipment and clothing, warm up their body and open up physically for the race ahead. 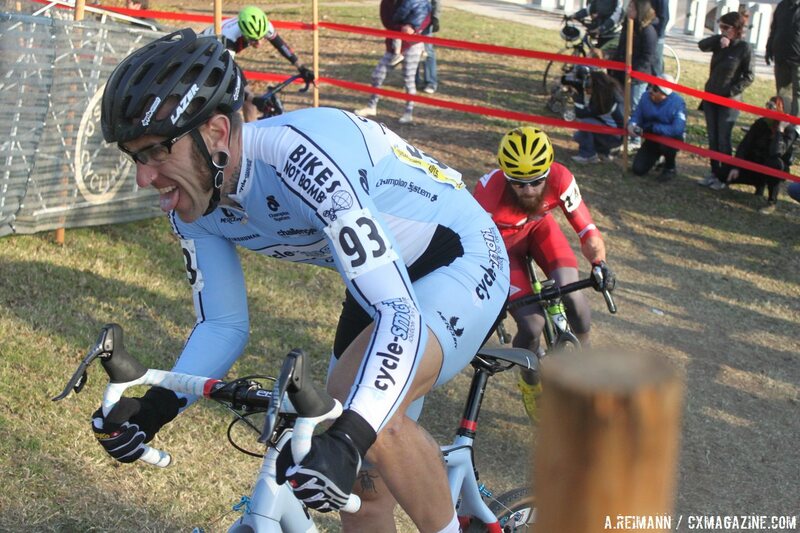 I’ve written about warming up before, and certainly the information in my previous article applies to cyclocross. 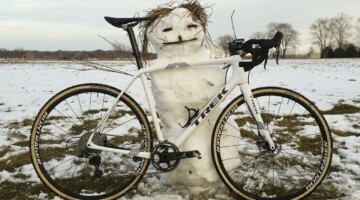 However, there are additional considerations when warming up for cyclocross that are unique to ‘cross, or at the very least, more important than they are for other disciplines. Course inspection is the primary additional concern that affects all other factors. Herein lies the challenge: a 15-minute warmup might be enough for many people physically, but it’s not enough to pre-ride a course and have it committed to memory. On the other side, it might take someone 45 minutes of pre-riding in two or three sessions between races to finally have a handle on the course, and that may be beyond the fitness a person has once the race starts. It can leave a rider showing up to the start line tired from their warm up and possibly even underfueled or dehydrated. So where’s the balance? 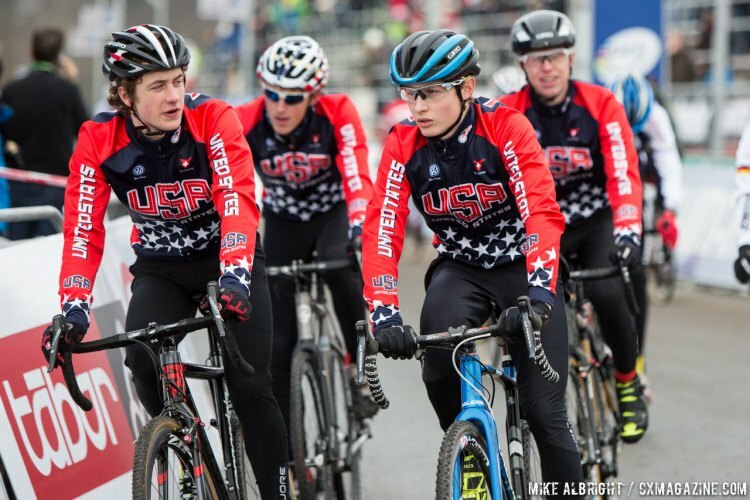 For a North American elite rider, a typical routine is to warm up in three sessions, beginning 2-3 hours before the start, between races, and depending on the race schedule. A final pre-race warm up on a trainer or near the start area. This routine requires being ready to get on the course at the finish of the race that happens two races before yours. So if your race is at 3 p.m. and there are starts every hour, you ideally want to be ready to get on the course for your first warm up around 12:30 or 12:45. There is an accepted protocol in the Northeast of waiting at the finish line for the winner to cross, which officially opens the course past the finish line for warm up, but only behind the last finisher on the course. For this to work, every rider has to be aware of and respect the last rider on the course, never passing them or even getting very close to them. (It should go without saying never to warm up on the course while a race is happening in front of a rider who is still racing.) 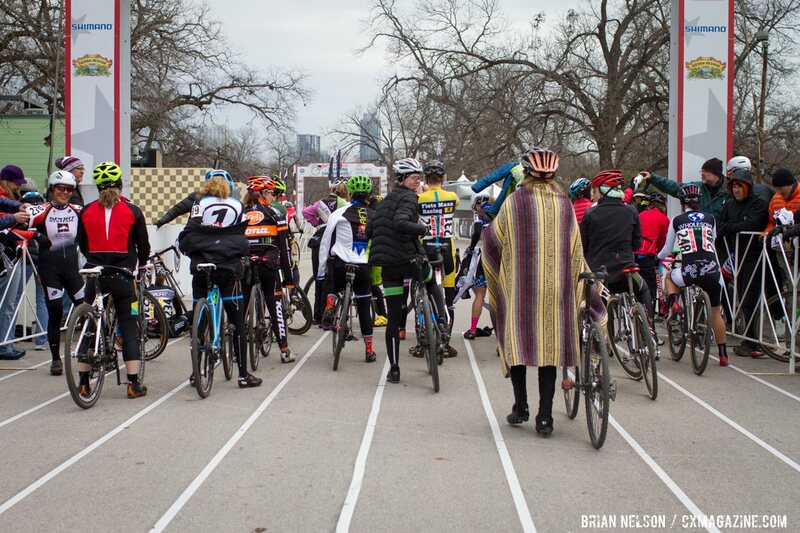 Not every region allows this, which may limit your course inspection time to only one lap between races, which makes it crucial to make the most of it. The 3rd warm up session should also be about 15 minutes long, and start about 30 minutes before the race. The goal here is not that more warm up is required, but it’s almost a recovery ride from the previous warm up efforts, and a literal, physical warming of the body if the weather is cold, as it often is. You want to go to the start line physically warm. This is also the window where you want to prepare for the start itself, and so three short sprints of 10 seconds each with a minute or two between each one should happen near the end of the session, or on the way to the start line, depending on timing. 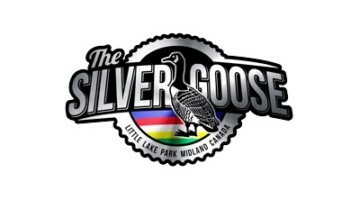 If your race is the first one of the day, one advantage is that you essentially have unlimited course inspection time. And it’s reasonable to assume your fitness is at a lower level, so the shortest warmup necessary would be preferable. 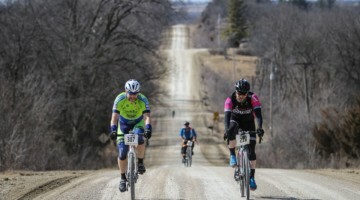 At the same time, if you’re a new or beginner rider, you also need the most time on the course, and you most likely will be racing in the most challenging course conditions of the day. You’ll often face melting frost, dewy turns, wet grass that turns to slippery mud that will dry out as the day goes on. 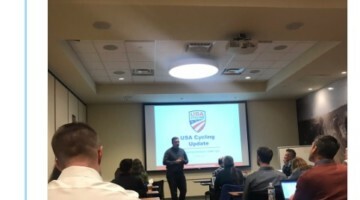 This is where the trade off between course inspection time and ideal warm up pedaling time really comes into play, not to mention having to get up early, and time your eating appropriately. For those riders in the first race of the day, you can compress this warm up into a single session. One lap to look, one lap at speed, back to your car to make any changes to things like gloves or hats, and then off to the start line. Any warming up you can do beyond that is bonus, but this approach should still get you about 30 minutes of riding total. Ideally you’d begin about an hour before the start, if possible. Again, there is always a trade off between fitness and course inspection time. For many riders, one warm up session of course inspection between races may be all they have time, motivation, and fitness for. If there’s a major point to take away, regardless of your level, it’s that more of your warm up time should be spent on the course than on the trainer. This becomes difficult if your races are especially muddy and you’re not a pro with 3 bikes and a mechanic who’ll wash them between sessions, so again, it’s a matter of how much energy you want to put in to preparation, too. Because ‘cross is not just about fitness, but also technique, a big part of your performance is going to depend on knowing the course and being able to rail it on lap 1. Spending all your warm up time on the trainer will only get you half of that equation. 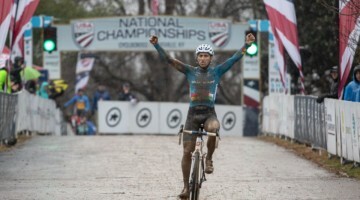 Want more tips on cyclocross technique and training? Take a look at our Cyclocross Academy archives. Emma Lewis Tim Blackcatcc what do you make of this warm up ?